Should you take on the challenge presented by the designer? 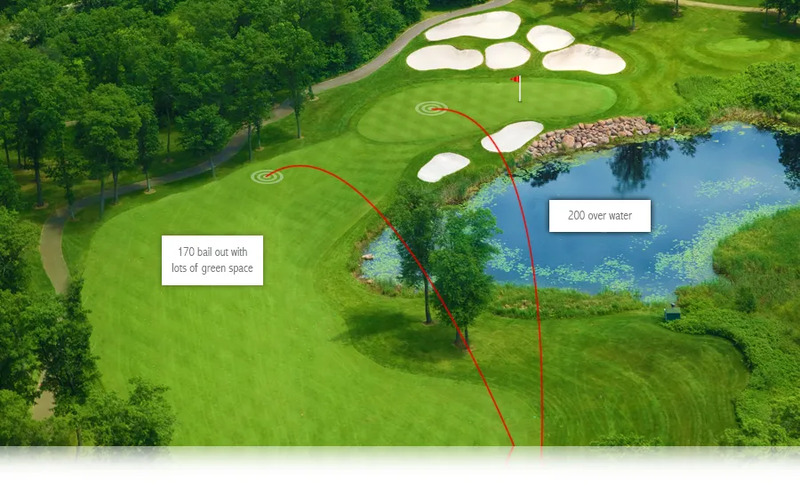 How many of you feel that you can hit a 200-yard shot all the way across water with water on the right of the target? But how many of you would therefore decide to take this as a Par 4 with the chance of a 3? Jack Nicklaus once said that he could take upwards of 5 shots off a regular golfer’s scorecard if he walked with them and told them what shots to play. He’d select shots they had a good percentage chance of pulling off.